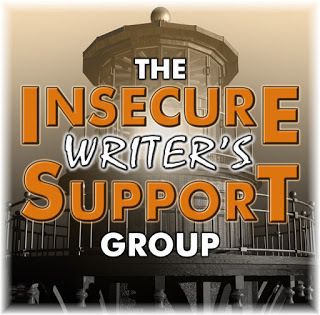 Today’s the first posting day of the year for the Insecure Writers Support group. On each first Wednesday, writers are encouraged to share their doubts and encourage others. If you’re interested in signing up, go here. 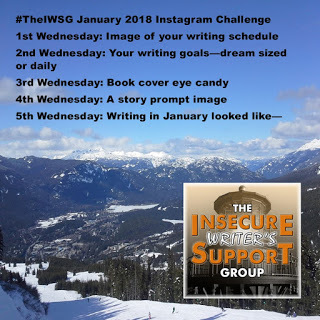 The wonderful co-hosts for the January 3 posting of the IWSG are Tyrean Martinson, Ellen @ The Cynical Sailor, Megan Morgan, Jennifer Lane, and Rachna Chhabria! So far, I’ve made a listing of all the books I hope to produce in 2018. The titles are in a planner and are noted according to the months they will be on the market. I’ve also gone ahead and started plotting a couple of stories. What have you done, to date? The 2017 IWSG Anthology Contest winners are listed below. Note: Our Special Mention story is for IWSG Admin, C. Lee McKenzie, who did not participate in the reading or judging of any of the entries. Her story made the top ten from the judges and will be included in the anthology. 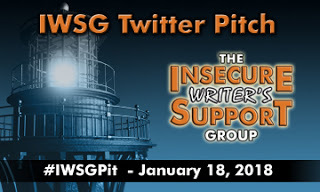 Look out for the next #IWSGPit, which will be Thursday, January 18, 2018! Here’s how it will work. Create a Twitter-length pitch for your completed and polished manuscript and leave room for genre, age, and the hashtag. On January 18, Tweet your pitch. If your pitch receives a favorite/heart from a publisher/agent check their submission guidelines and send your requested query. Follow and spread the word. So, what d'you have planned for your writing in 2018? Planning to participate in the Twitter pitch? Will you be participating in the Instagram Challenge? You excel at the planning and publishing on a schedule, Joy! You amaze me with your productivity, Joy! What have I done to date? I've driven back from Surprise, Arizona on the 1st and 2nd, and I've devoted today to the IWSG. Tomorrow I get my blog back on track. And Friday back to my memoir. 2017 was a tough year, but I am looking forward to a bright and shiny new year full of possibilities. Wishing you all the best as you tackle a new year of writing! Good luck with all your writing plans. I'm hoping to be more consistent in my writing. Way to get yourself started for 2018! I'm not that on top of things this year, but sometimes we just have to do what we can, eh? Currently, I'm working on 2 novels from different series, when time permits. Hoping to have one of them ready to go by the end of the year. I'd say that's good enough with a baby, toddler, and two home schoolers, right?